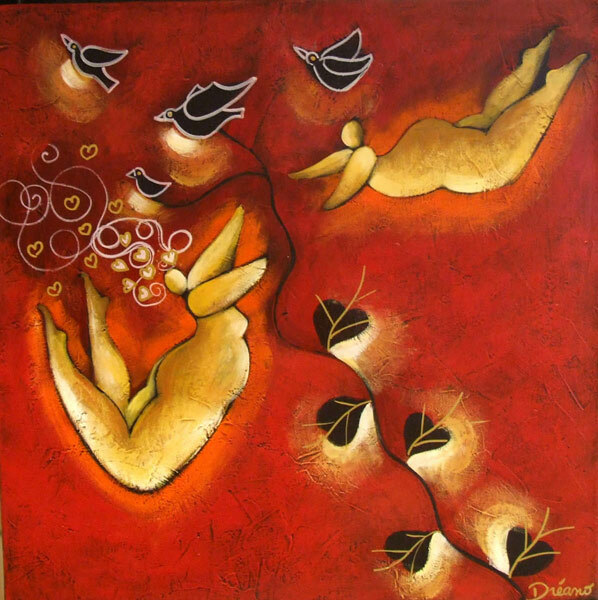 The red of the love passion, the warm red and the loving flight, all the writing of the artist Laurence Dréano meets in this work. The characters are in weightlessness as rocked by soft feelings. 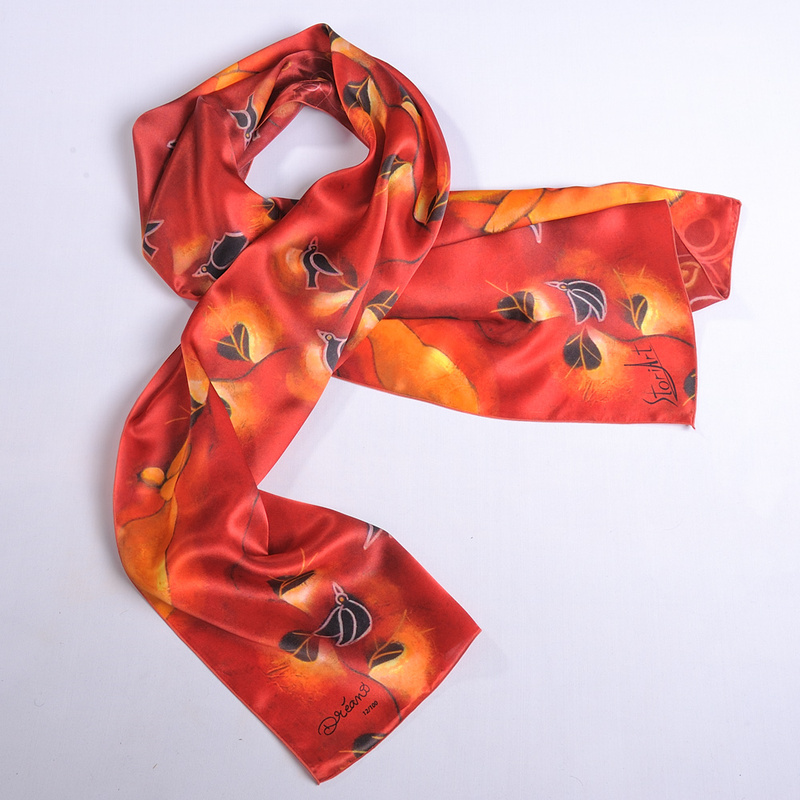 Lots of all these assets, this scarf sends us back to values, at once very intimate and very universal. 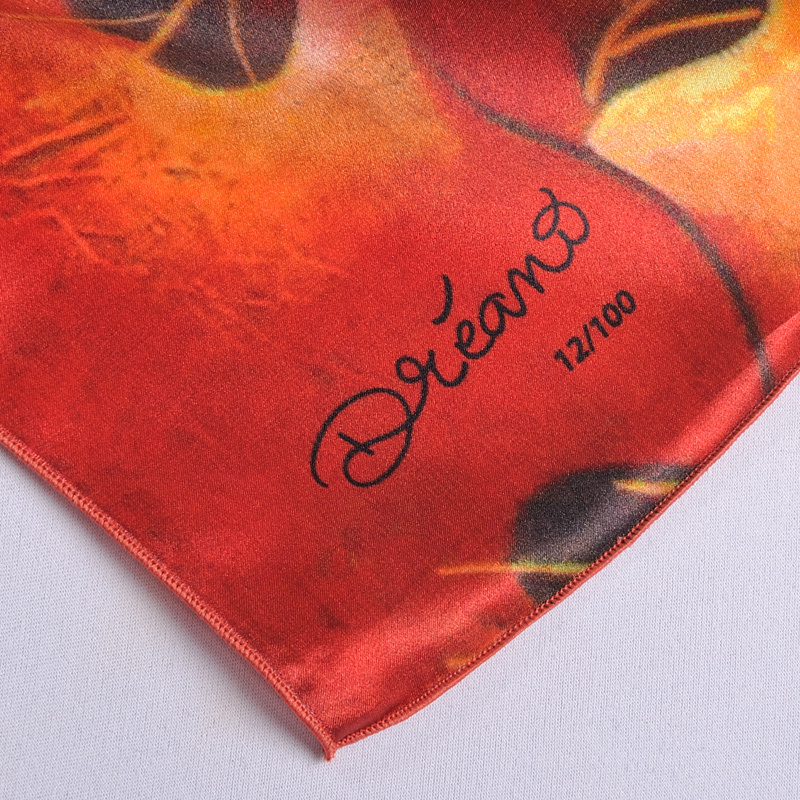 Red-Orange colors escape by iridescence of the satin and add fascinated brightness in your natural expression. 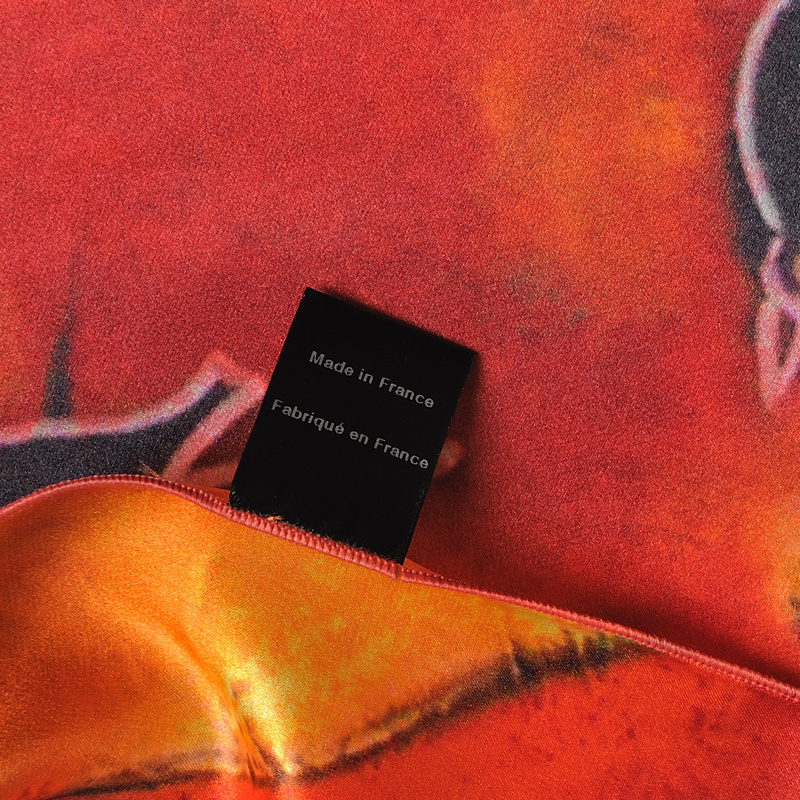 This model, made in France, has been produced in 100 numbered copies only.